*The grade of Low Pass is awarded to students who pass a pass/fail course but earn a grade lower than a C; see §6.6. A grade point system is used to determine academic standing. The GPA is computed by dividing the total number of grade points earned by the total number of graded credit hours. Graded credit hours do not include courses graded WP, P, X, or I, but do include grades of E and WE (whether in a graded or pass/fail course). If a student withdraws from a course after the second week of classes, the grade of WP (Withdrew Passing) and the course name will appear on the transcript. A WP has no effect on the GPA. An instructor may assign the grade of WP to a student who does not satisfy an attendance requirement. A student who is officially registered for a course but who fails to take the final examination, or fails to complete any other requirement for the course without the permission of the instructor, will be assigned the grade of WE. This grade counts in the student's grade point average as a failing grade. The grade of Incomplete will be assigned to a student who has been excused from taking the final examination on good cause shown, or who, with permission, has failed to complete the required assignments in a course in which written assignments form a basis for the grade. An instructor may assign the grade of Incomplete to a student who has not met the attendance requirement specified. First-year students are not permitted to take Incompletes in required courses; see §3.3. Unless a differnt time is specified by the professor giving the Incomplete, the Incomplete must be completed within one year from the end of the examination period for the semester in the Incomplete was received. When completed, the grade will replace the Incomplete for the semester in which the Incomplete was awarded. If the Incomplete is not completed within one year, or within such other time period specified by the professor, the Incomplete will be replaced with the grade of WP, if good cause is shown for failing to complete the Incomplete, or the grade of WE, if good cause is not shown. A student who is making up an Incomplete during a subsequent semester should not register for the course. Instead, the student must notify the instructor that he or she is making up an Incomplete before attending class, taking an examination, or turning in a paper, and must submit an Incomplete Course Make-up Notice form during the first two weeks of the semester. In order to earn the grade of P (Pass) in a course being taken on a pass/fail basis, the student must earn at least the grade of C. If a student earns a C- or lower in a course being taken on a pass/fail basis (but does not fail), the student will be awarded the grade of LP (Low Pass). The LP grade is applicable to all courses and activities being taken on a pass/fail basis, including courses for which the student makes a pass/fail election pursuant to §2.4. Credit hours graded as a P (Pass) or LP (Low Pass) are counted toward graduation but have no effect on a student's GPA. If a student receives an E (Failure) or WE (Withdrew Failing), whether in a graded or pass/fail course, the grade will be included in the GPA computation as indicated in §6.2. The following curve is mandatory for all required courses, except for: Legal Writing courses, seminars, and specialized Professional Responsibility courses (Ethics and Advocacy; Practice and Professionalism; and Professional Responsibility: Business Ethics). The curve does apply to the basic Professional Responsibility course. The curve is also highly recommended, but not required, for all elective courses (except Appellate Advocacy and Judicial Externship) if at least 40 students are enrolled. The Law School uses an anonymous grading system for final written exams. Instructors do not have access to the identity of students while final examinations are being graded. Students are assigned random examination numbers each semester to identify their examinations. The instructor assigns preliminary letter grades to the examinations and submits these letter grades by examination number. The instructor is then given the names of the students matched with each student's preliminary grade. The instructor then has 48 hours to adjust grades according to the criteria announced to the class at the beginning of the semester, such as class participation, attendance, and other factors. After the professor has submitted final grades, grade changes may only be made pursuant to §6.10. The Registrar's office is not permitted to disclose any information regarding the adjustments instructors made to the grades. The student must contact the instructor for information regarding the grade and adjustment. Grade changes may be made by an instructor after the 48-hour adjustment period set forth in §6.9 only with the approval of the Assistant Dean for Academic Administration and Student Affairs. The instructor must submit a Grade Change form explaining the reason for the change, which must be signed by the Assistant Dean. Fall Semesters: Faculty members must submit grades within five weeks after the date of the final examination. If there is no final examination (for example, a seminar where the final grade is based on a paper), grades are due five weeks after the last day of the exam period. Spring Semesters: Faculty members must submit grades within four weeks after the date of the final examination. If there is no final examination, grades are due four weeks after the last day of the exam period. Summer Sessions: Summer session grades must be submitted within four weeks after the date of the final examination. If there is no final examination, grades are due four weeks after the last day of the exam period. Graduating Seniors' Grades: Grades for graduating seniors may be due earlier than other students' grades so the Law School may certify graduates to take the bar examination. 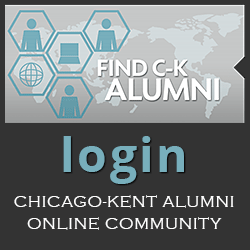 Students may obtain their final grades through the Web for Students system on the Chicago-Kent web site (grades are not mailed to students). Grades are posted as they are received and approved by the administration. The Registrar is not permitted to disclose grades over the telephone to any person. Students must give written consent for disclosure of grades to an individual other than themselves. Subject to the provisions described below, students receive their first class rank at the completion of their first full academic year, and thereafter, every Fall and Spring semester until they graduate. Class ranks are based on cumulative GPA. Classes are ranked by expected date of graduation. Each July, an official final class rank is assigned to each graduate. The class rank is not affected by students who transfer to another law school or withdraw from the Law School after the semester is completed; the departed students will not be included in the next computation of class rank. Once class ranks are released to students, ranks will not be affected by grade changes submitted by instructors subsequent to that date. Students who graduate in August or December are ranked with the succeeding May graduating class for purposes of their final class rank. Only Law School grades are used in calculating the GPAs of students in the joint degree programs described in §1.25. Grades earned in LL.M. courses prior to the student receiving the J.D. degree are included in the J.D. GPA for joint J.D./LL.M. students. However, J.D. students in joint J.D./LL.M. programs may only receive the grades listed in §6.1. First-year students in the full-time Day Division will be ranked after the conclusion of the Spring semester based on cumulative GPA calculations that include all grades received to that point, with the exception that grades received for Legislation or for an elective taken in places of Legislation will not be included. Grades for Legislation and for any elective taken in Spring of the first year will be included in subsequent class rank calculations (after the first year). Subject to the provisions described below, students who earn a GPA of at least 3.250 for the semester are placed on the Dean's Honor List. To be eligible for the Dean's Honor List, full-time Day Division students must have received credit for at least 12 hours (10 hours for graduating seniors in their last two semesters) for the semester, and part-time Day Division students and Evening Division students must have received credit for at least eight hours for the semester. Students taking reduced credits loads with permission of the Assistant Dean for Academic Administration and Student Affairs are also eligible for the Dean's Honor List. First-year students are eligible for the Dean's Honor List for their first semester. In order to be eligible for the Dean's Honor List, students in the joint J.D./M.B.A. program or other joint programs described in §§ 1.23 to 1.26 must meet the minimum credit requirements described above considering their law courses only. First-year students who take Criminal Law in the Summer preceding the start of the regular academic year will have their eligibility for Fall Dean's Honor List determined based on their cumulative GPA including their Fall courses and Criminal Law. First-year students in the full-time Day Division will have their eligibility for Spring Dean's Honor List determined based only on the grades received in Civil Procedure, Property, and Legal Writing 2; grades received in Legislation or in an elective course will not be included in the calculation. 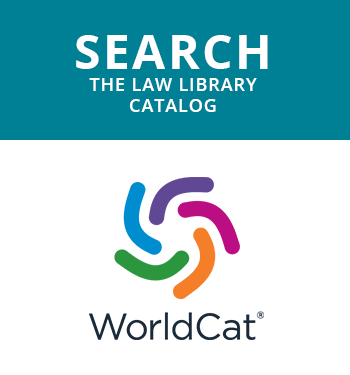 Students may request an official transcript of their Law School record be sent to another institution by submitting a Transcript Request form to the Registrar. A transcript will not be issued if the student's financial account with the University is delinquent. Official transcripts will not be issued to students. Unofficial transcripts are available to students and may be accessed through the Registrar's office home page. 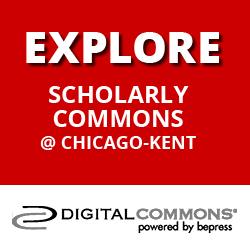 Section 6-5(b) of the Chicago-Kent Code of Conduct, which appears in Section XIX of this Handbook, provides that whenever a student is convicted of violating the Code of Conduct, a notation to that effect shall be made on the student's transcript. However, if the Tribunal unanimously determines that the interests of justice so require, the Tribunal may suspend the entry of said notation on conditions it seems appropriate. The CALI Excellence for the Future Award, sponsored by the Center for Computer-Assisted Legal Instruction, is given each semester to the student or students who receive the highest grade in each section of each course. An instructor may elect not to designate a CALI winner. Students who elect to take a letter-graded class passs/fail (see § 2.4) are eligible for the CALI award, in the discretion of the professor.